Hello all! I love fall and I love to exercise! My goal is to get you to also love to exercise. So I made a challenge for November that will give you a taste of my routine. 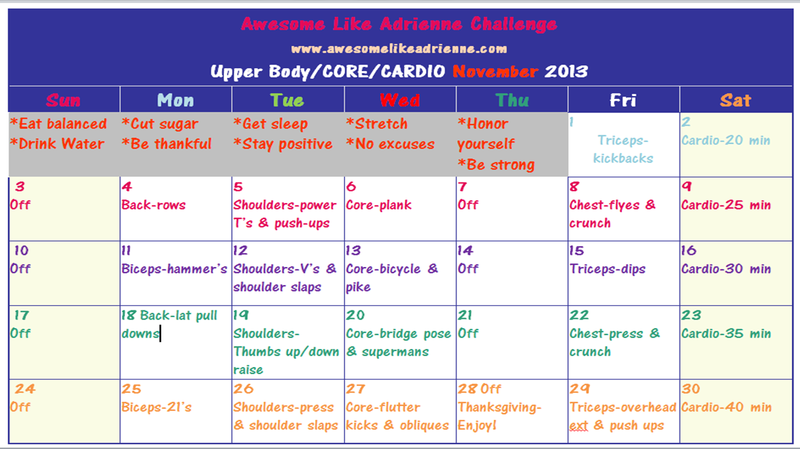 You will get a new upper body and core exercise along with a different cardio challenge every day of the week except for Thursdays and Sundays-those are your rest/off days! I do a lifting plan similar to this so I modified it for beginners like some of you or if you are further along you will hopefully at least learn some new exercises and above all else, ALL of you, will develop a routine that you can carry through to December and hopefully into 2014…wow, really 2014? That came quick!!! You will be able to do these at home or at the gym. I will give several options based on fit level and whether you are executing them at the gym or at home. I will post on facebook the move for the day so be sure to Like my page at the top right of this page so you can follow along. I will post pics or videos so you know exactly how to do it. 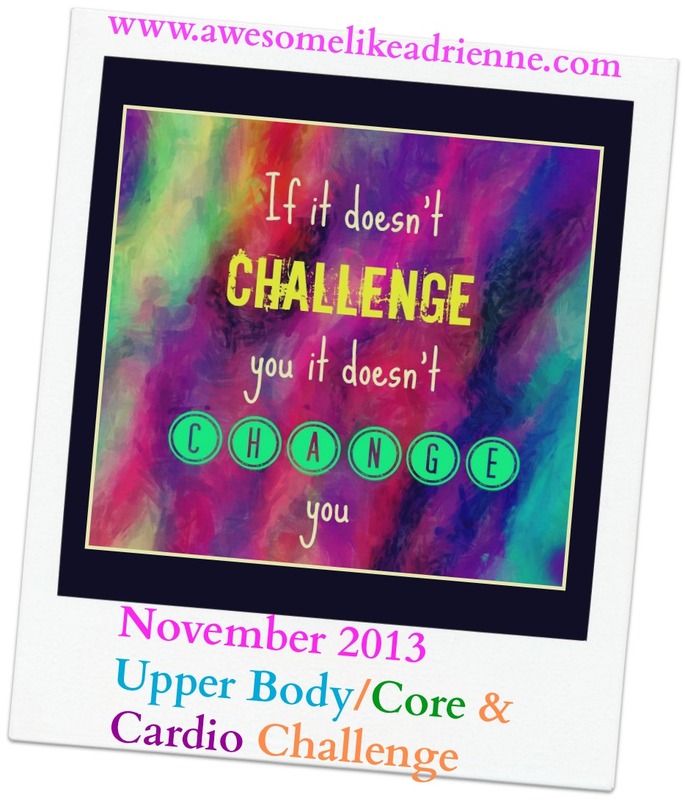 Hoping you will join my challenge for November and beyond to exercise, eat nutritious foods and honor yourself!! Wow-I have had a major revelation! I used to want to write about “how dare you do this to me” but today I feel I am exactly where I am supposed to be no matter how I got here. I have an amazing child and an amazing boyfriend. Period. I have those people in my life right now. My story before was that I had a crappy ex-husband and my son half the time because my husband “divorced” us. Here is a better story- NOW I have a whole new life and a whole new outlook on my past. I still share custody of my son with his dad but I am able to see past the “have not” and only focus on the “have” part of that “50/50” agreement. 50/50, doesn’t that sound awful? Splitting a child in half-are you kidding me? But I can look at it half empty or half FULL. I chose FULL. I always have to choose FULL or else I will not function and I will not progress as a mom and woman. 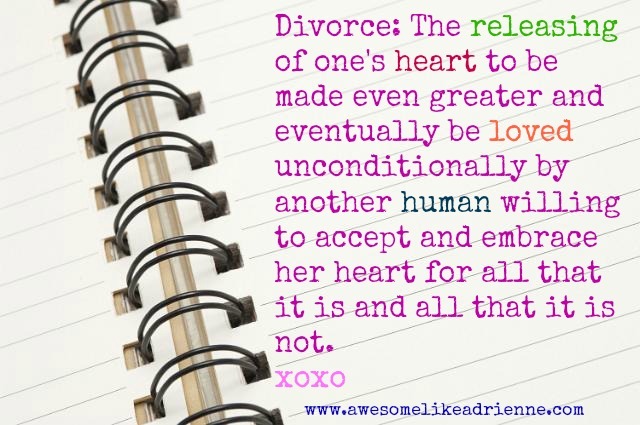 This, 50/50 talk by far, was the hardest part of getting divorced for me. The pain you feel when someone you truly love and who truly loves you back is sad (a sad cute as heck four year old)-well now that is REAL heartbreak. Seeing your son cry his eyes out for you when he knows he isn’t going to see you is true heartbreak. Your husband leaving you for another girl is a minor set back and not worth your heart breaking but your child, your baby, that is tough. I now prepare myself and him with books like The Invisible String-which tells a story of two twins whose mom tells them about the “invisible string” and that “no one is ever alone” and they can “pull on the string anywhere at anytime and she will feel it”. He tells me he will do this when he misses me or is thinking about me. Things like that bring us both comfort. Tough situations make you stronger. Lifting weights make you stronger. I feel mentally strong when lifting weights. I find physical and mental strength in everyday life as a result of lifting weights. 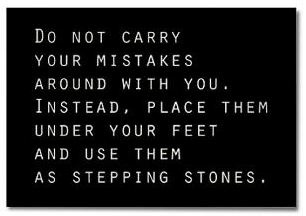 I am a stronger person because of my past and if that alone is the reason all of this happened then I accept that and use it to learn and grow. All other explanations are negative and not helpful. Because of things like meditation, exercise, deep breathing and focusing on the NOW I am able to better mentally prepare for the breaking that occurs in mine and my son’s heart every other Monday morning and every other Friday morning. This heartbreak isn’t a one time event. Divorce and sharing a child will always be. It comes up all the time. It is not an isolated event that I can just say, “oh well, that happened and that sucked ” and be done with it. Week after week, there it is again and is ALWAYS a challenge. I have feelings. My son has feelings and I tell him to express them and I allow myself to express mine. It is ok to be emotional-we LOVE each other and we go days without seeing each other! We LOVE hard too which makes leaving one another that much more painful. So, guess what…. it is normal to feel sad when we part ways but NOW I am able to show him that even though we are sad and don’t want to leave each other we have to be happy and we have to be strong. 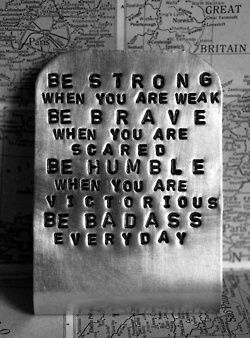 Two HUGELY IMPORTANT life lessons! He is four and I feel is already so strong and happy because he is forced to be (naturally because of the divorce). Speaking of divorce, this word would drive me absolutely crazy before so I changed the definition…..what do you guys think?? 3. Moving my body-Lifting weights/challenging myself and the releasing of endorphins!! 4. Relax and rest-you don’t have to always be doing something every min of everyday-call a time out every once in a while! 5. Live in the NOW-don’t dismiss your past because it is part of you but do not get stuck in it. Find ways to beak out and enjoy who and what you are and have NOW. This will always change everything, right there in the moment. 6. Always be POSITIVE about everything and everyone. Negativity causes stress and we do not want that!! 7. Max-my son-HE is what helps me, he is so sweet, so innocent and so full of life and love. If you are going through anything similar just let it all go. Live in the NOW. 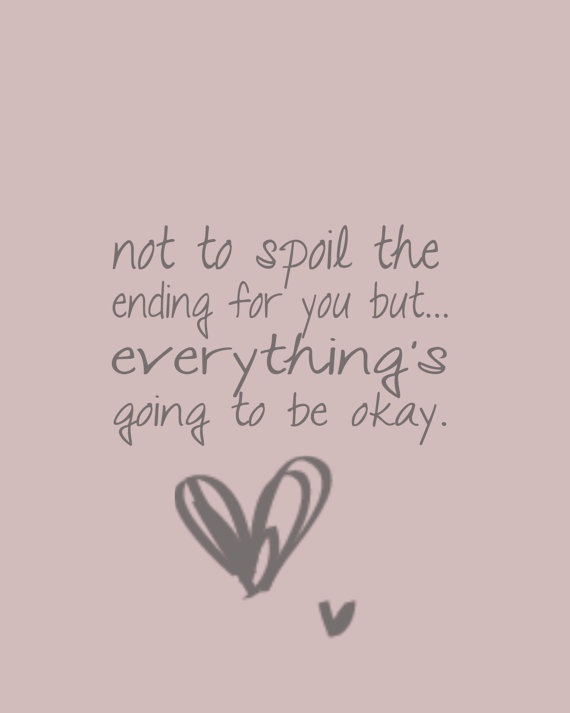 Don’t worry because everything, no matter what, is going to be okay. Live for bettering you and your story will change for the better! Promise! Life isn’t fair or easy and bad things will always happen. Things will not go according to plan and it is how you handle those events that will make or break your life. 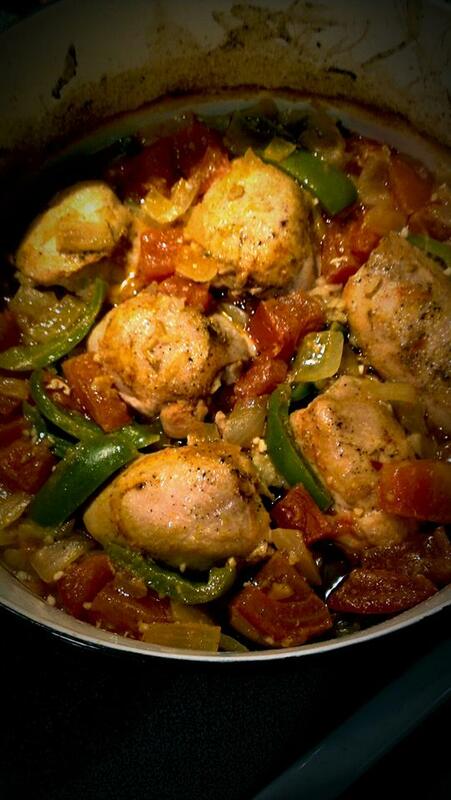 Savory Chicken thighs-in the Dutch Oven! If you have been following my blog or my Facebook page you would know that I got a Dutch Oven maybe a month ago (thanks mom-early Christmas present!!!) and I have used it at least 15 times since then because I am in LOVE with it! It makes things so easy, easy to throw everything in one pot, easy cooking process and easy clean up!!! 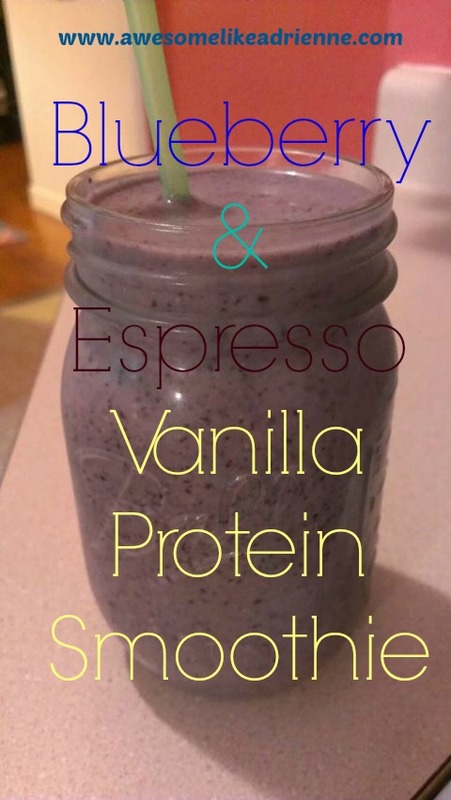 I highly suggest you add one to your kitchen ASAP! 6. Add 1/2 c dry rice and 2 cups of water. Place in oven for 1.5 to 2 hours. Do as many reps as you can of each exercise in about 30 to 40 seconds (or to your exhaustion point) then rest for 10 seconds in-between each exercise. When you are done with circuit/round one rest for 1 to 2 min then repeat for 3 to 4 total rounds. 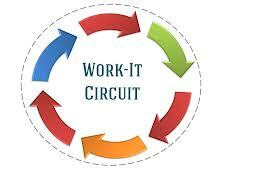 Repeat 3 to 4 rounds and then smile at the sweat angel you just made!! !